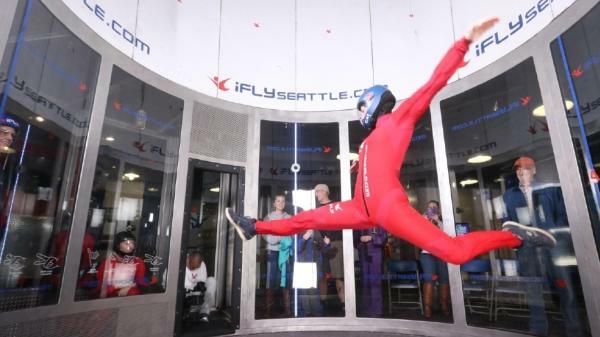 Seattle Refined writers took a spin in iFLY and loved every second! If you haven&apos;t tried indoor skydiving before you are missing out! We headed to iFly Seattle in Tukwila to get a first-hand lesson from one of the best in the biz. Cat Adam is the first and only female instructor and she is amazing (GIRL POWER!) Cat and the iFly crew showed us awesome maneuvers in the wind tunnel before Refined&apos;s Erin Mayovsky got in the tunnel too. Check out our experience in the video!